Are you a developer looking to fell a tree – for any reason? Then there are three questions you need to ask. covered by a Tree Preservation Order (TPO)? covered by the Forestry Act? Even if you have permission to fell the tree you must still consider legally protected species such as nesting birds, dormice and bats. In a conservation area, any tree whose stem is more than 75mm in diameter (when measured 1.5m above the ground) will have legal protection. If you’re planning to work on a protected tree, you must, by law, tell the Local Planning Authority (LPA). ‘Work’ in this context could mean not just felling, but also thinning, crown lifting, reducing etc. You will need to complete a form telling the LPA where the tree is, who you are, and what work you intend to do. If they object to the work they may issue a Tree Preservation Order (TPO). If you do not hear from them within six weeks you can assume there is no objection. If a tree is covered by a Tree Preservation order (TPO) then the LPA must grant permission before you can do anything to the tree. A TPO may be for a single tree, a group of trees, a woodland or an area, depending on the nature of the TPO. To ask for LPA approval, you need to submit a form much like a planning application. The LPA may ask for more information, and can approve, refuse, or limit what you are allowed to do. They can also impose conditions. Unlike a tree in a conservation area, the LPA must give their approval before you start any work. They will normally respond within eight weeks, with public consultation. Until they do, you do not have consent . You can fell up to 5m3 of timber per calendar quarter (with no more than 3m3 being sold). Trees within the curtilage of a residential property (garden) are exempt. Developers can easily be caught out by this if, for example, they decide to fell trees before they apply for planning permission. Unlike Conservation Areas and TPOs, felling licences are administered and overseen by the Forestry Commission. It can take more than six weeks to get a decision on a licence, because there has to be a public consultation before it is granted. The fine for destroying a protected tree can be up to £20,000 if a magistrate awards it. if the matter goes to Crown Court, there is no limit. Typically it relates to the benefit you would gain from felling the tree. In one case, for example, a householder wanting to open up a view had to pay a fine equivalent to the estimated increase in the value of his house. 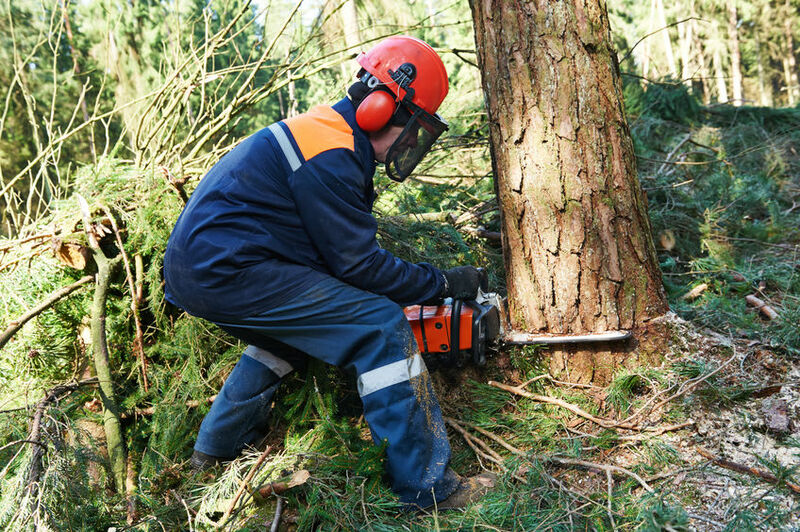 Clearly it’s important to know whether or not you are allowed to prune, lop or fell a tree before you begin work, so it is important to get the right advice before you start. You will not want to risk a heavy fine. As long as you follow the right procedures, and obtain the appropriate planning permission, you will be able to go ahead with your planned work. To ensure that you do, it’s advisable to ask for an arboricultural impact assessment well before you intend to start. For a free initial chat, just give us a call on 01638 663 226 or send us an email. Next post Netting trees? You may need some advice first.